Dubai International maintained its status as the world's third busiest airport in the world last year with 88.24 million passengers. It could potentially dethrone China's Beijing airport from its second place if DXB slightly improves its growth rate in a few years. In 2017, Atlanta Airport maintained its first ranking with 103.9 million passengers despite a slight decrease of 0.3 per cent in passenger traffic followed by 95.78 million passengers at Beijing's Capital International Airport. Among the world's top 10 airports, Dubai was the third fastest growing at 5.5 per cent following Tokyo's Haneda International Airport (6.5 per cent) and Shanghai's Pudong International Airport (6.1 per cent). Tokyo's Haneda International improved its ranking by one point to fourth while Los Angeles slipped one place to number 5. Chicago, London, Hong Kong, Shanghai and Paris made it to the top 10 list of Airports Council International (ACI). If DXB keeps its growth of 5.5 per cent in the next few years as compared to 1.5 per cent growth for Beijing airport, this will help Dubai International to surpass its Chinese peer. Saj Ahmad, chief analyst, StrategicAero Research, said in 2018, DXB aims to have traffic of around 90 million. This does not take into account the continued work to expand the airport to over 110 million passengers a year. The reality is that as capacity at DXB expands, allowing home grown incumbents like Emirates and flydubai to induct new airplanes and expand routes, while also allowing more airlines to fly to Dubai, DXB will overtake the Chinese capital's airport. "And looking farther out in the very long term, Dubai World Central too will expand and overtake Beijing," he added. The London-based analyst said that the biggest challenges for Dubai International are largely restricted to near-term developments. "For almost 50 days next year, DXB will be down to one runway for operations while the other is resurfaced. That will hit traffic, particularly as some of it is shifted out to Dubai World Central. Perhaps more importantly is the expansion work to lift capacity - while at the end of this current project, capacity will increase, but it means growth could be capped to single percentage points for a few years," Ahmad said. Dubai Airports had announced Dh29 billion airport and airspace expansion programme, which will boost capacity at Dubai International to 90 million a year by 2018. In addition, another Dh29.3 billion are being pumped into Al Maktoum International Airport ahead of the opening of Expo 2020. Richard Stolz, head of Corporate Development, grmc Advisory Services, said Dubai International passenger numbers have been growing steadily on an annual basis over the past years and further passenger growth is expected for 2018. 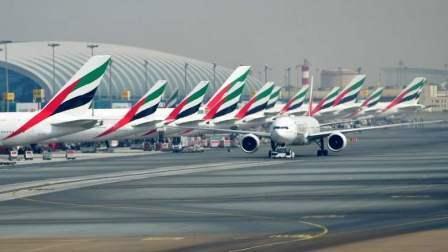 "However, if DXB airport can overtake Beijing airport as the current world number two remains to be seen. At the moment, less than 10 per cent of Chinese nationals actually possess a passport and this will certainly change with more Chinese nationals expected to travel internationally using the country's main hubs such as Beijing airport." In the short term, he also pointed out Dubai airport's passenger numbers will be affected in 2019 by planned runway maintenance works. Dubai International retained it top position for international passengers at 87.7 million passengers with 5.6 per cent growth in 2017. Other airports that made to the top 10 for international passengers were London, Hong Kong, Amsterdam, Paris, Singapore, Incheon, Frankfurt, Bangkok and Taipei. Interestingly, there was no change in the international passenger category in the top 10 ranking last year as compared to previous year. However, Dubai International slipped one place to sixth in total air cargo traffic with 2.65 million metric tonnes, with a growth rate of 2.4 per cent. In terms of total international air freight traffic, Dubai International, again, slipped one place to fourth with 2.64 million metric tonnes freight. Internationally, India's Indira Gandhi International Airport, New Delhi, booted out New York's John F. Kennedy International Airport from the top 20 list by advancing to 16 from 22.